The flow of second hand trainset freight cars seems to be never ending... in apparence at least. Louis-Marie's brother-in-law provided an old trainset from his childhood. While most of the stuff was garbage, even in the eyes of someone with low standard, a few cars were worth a second life. Among them was a Tyco MoW flatcar. If you remove the pseudo-caboose end, you get a decent car. By the way, even as a child, I always found these cars to be highly dubious. Any prototype? As for the caboose, was it a bobber shell plugged onto a flat car... It's really weird. 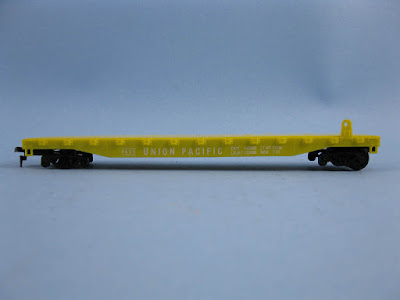 Another one was a generic 50ft flatcar. It was broken in two but could be repaired easily. It used to have holes on the deck to secure containers. 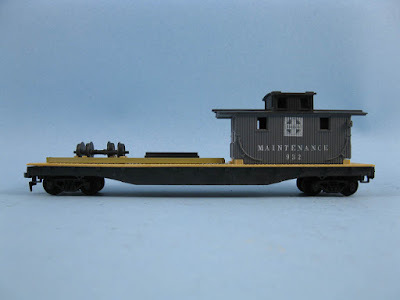 Finally, the last decent car was a 40ft Bachmann boxcar. 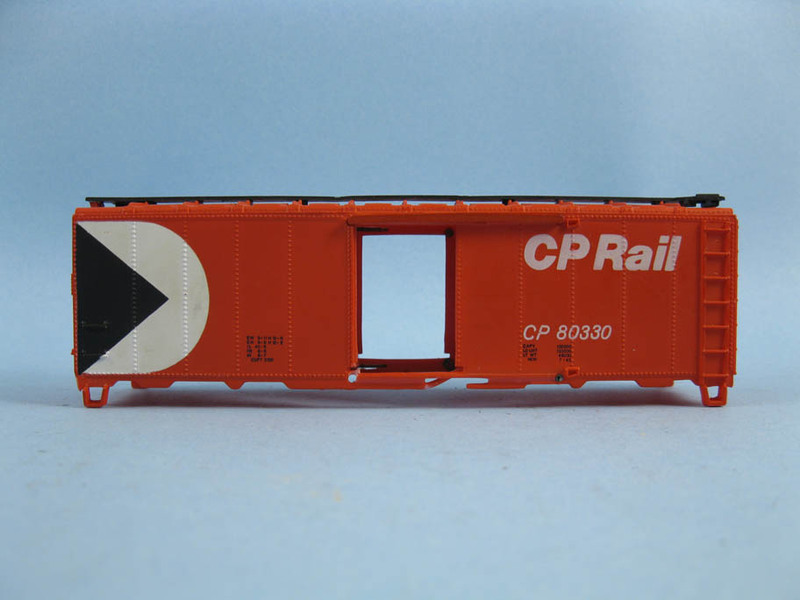 While in really bad shape, this car has details that can compare with Athearn and Roundhouse except for the obvious lack of steel panel line. In fact, some of them are superior, particularly the roofwalk which is thin and well rendered for a 40-year model. However, the car has some serious defects, lack doors, door tracks, brake wheel and is broken. All of them are in the process of being rebuilt and repainted. 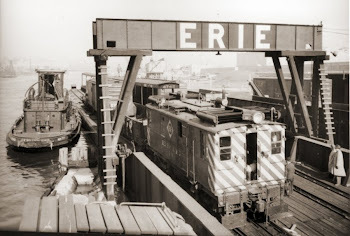 The flatcars will become Nickel Plate Road while the boxcar will be of Pittsburg & Lake Erie origin. With these latest acquisition, I consider the fleet to be complete and want to thanks every people involved in building it. I still have a few weeks of building, painting and weathering ahead. Some cars will likely require fine tuning, addition weight and metal wheels. For hoppers, I'm still investigating ways to add weight. At this point, I know the answer won't be aesthetical. On the positive side, I'm glad to announce the illustrated rolling stock catalogue is progressing well. I hope to start publishing the content during the month of September. As late as the 1990s, the Guilford wreck train had an ex-B&M steel caboose body mounted on half a flat car, so this did sometimes happen. If you think abut it, especially a wood caboose might have its underframe go out of date, but putting it on a flat would extend its life and provide riding space for a wreck train. Some more credible paint and weathering, plus some details, would make a car like that do fine. Thanks for the info John. That would make a lot of sense.